We’ve got a full moon eclipse in Leo this week, and this fiery energy has been in effect and will continue to unfold over the next 6 months. We have another eclipse on February 15th in Aquarius on the way, so you can expect the changes that are taking place now to continue to evolve throughout the rest of winter going into spring. Now IS the time, especially with a fire moon, to burn or cut away ANYTHING that feels heavy, draining, not yours and that’s a block or obstacle to your own positive forward movement. BE FEARLESSLY IN PURSUIT OF WHAT IS BEST FOR YOU, YOU, YOU. Let go of old baggage, of OTHER peoples’ baggage, of trying to “force” situations that aren’t working, etc. Anything that feels like a TON of effort with NO mutual reciprocation can be released. Wherever this Leo eclipse is transiting in your natal chart is where it will most deeply affect you on a personal level. Leo is about self-reliance, allowing your TRUTH to shine, speaking up and leading from a place of humility instead of pure ego. Also, Leo calls for doing something luxe and nice for yourself. Get a mani/pedi, a facial, a hair cut, a highlight – something for VANITY’S sake, shameless and unapologetic. You deserve the best. 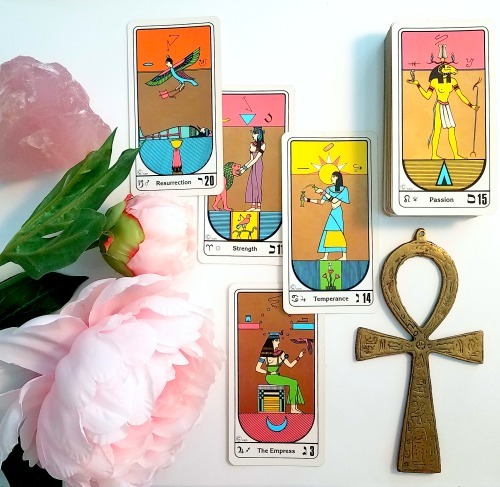 1:1 appointments now open for BOTH 30-minute + 60-minute Egyptian Tarot Sessions.